APRIL & MAY: 10% discount! This cosy and recently renovated villa is situated on the skirt of the mountain Santa Magdalena at only 2 km from the city of Inca. 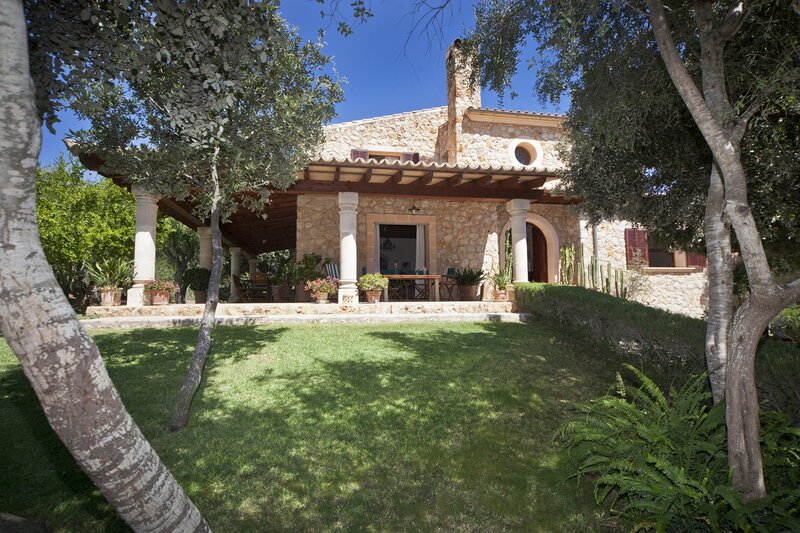 The 250m2 villa is situated on a large 16.00m2 plot. At the back of the house there is a private forest that children will love to play in. There are 4 double bedrooms (with air conditioning) and 3 bathrooms. From all the rooms on the ground floor you have direct access to the surrounding terraces. There are several seating spaces around the house to enjoy the shadow or sun during every hour of the day. In the lovely garden with its fruit trees and many plants there is a large swimming pool, 5 x 10 meter, with next to it a sunbathing area. The plot is fenced.